We’re attacking your senses this week. Yep, we’re coming on like last week’s cold and we’re taking no prisoners. 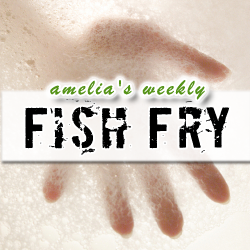 OK, that’s not really true… but this week’s Fish Fry is exploring several recent sensory-related technological breakthroughs in the world of electronic design. First, we’re talking about one of the newest advances in artificial compound eye technology and explaining how it could kick up the vision performance on your next robot project. Next, we’re checking out the newest advances in low-power touchscreen microcontrollers, and finally we are investigating how one perfume company in Japan is looking to add a fourth dimension to our smartphone text notifications. I’ve got a Freescale I.MX6Q Sabre Lite Board to give away to one lucky listener courtesy of newark element14 this week! Head on over to element14.com/fishfry to enter to win.